Summary: If Brexit does go ahead a vast array of powers will be repatriated to the UK. Major government functions would have to be established from virtually nothing in short order. In reality this would be almost impossible to manage given how overloaded our civil service is at present. Inevitably much of this work will be contracted to large commercial organisations who will no doubt be delighted to make a generous profit from running things like agriculture or fisheries or aviation. The will be virtually no oversight from an overloaded Parliament that will not be involved in the selection of these companies nor in setting their performance goals. This will end up by being an extraordinary power grab orchestrated by an increasingly authoritarian right-wing government. It is nearly 20 months since the referendum and the decision to Leave the EU. It is generally agreed that not very much progress is being made. Politicians and civil servants realise that what is on offer from the EU is essentially the status quo, take it or leave it. Had there been any significant progress we would have heard about it given how reliably Whitehall leaks rumours. They seem to be waiting for Godot, or perhaps hoping that Baldrick might turn up with a cunning plan. No one can have any doubt about the complexity of what has to be managed following any kind of Brexit. A vast range of powers would be repatriated to the UK. The harder the Brexit the more that will have to be handled within the UK. Who will manage these devolved powers? Not the civil service as they currently are, with numbers reduced to lower than any time before the second war. The reduction is particularly acute if numbers working in the NHS and education are excluded. The only solution will be to contract out major parts of the economy to private contractors. 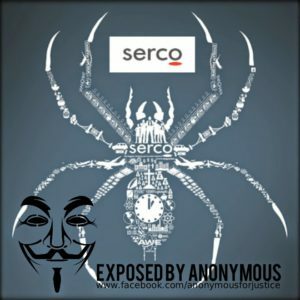 We all know how wonderfully well they work, and we can look to the way that the prisons (Serco and G4S) and the benefit system (formerly ASOS, now Maximus) are run. These companies will be given the job to run major parts of the economy at a significant profit to themselves. However, the terms of reference as to how each sector should be run and what policies are to be pursued as well as the selection of the companies themselves will be done by an increasingly right-wing government. The lack of civil servants will make it almost impossible to monitor what is going on in these areas. Think about one of these large companies looking after British agriculture, or the fisheries, or aviation. Altogether seriously scary for a government unable to articulate how it will get through the next few months before they trigger Article 50. This provides potentially the opportunity for an extraordinary power grab, orchestrated by an authoritarian right-wing government without significant parliamentary oversight. Nothing like this has happened since the war. This is the consequence of seizing back “sovereignty”. Hand it to the private sector and all will be well!